Yes, I’m officially a “shaver” now. 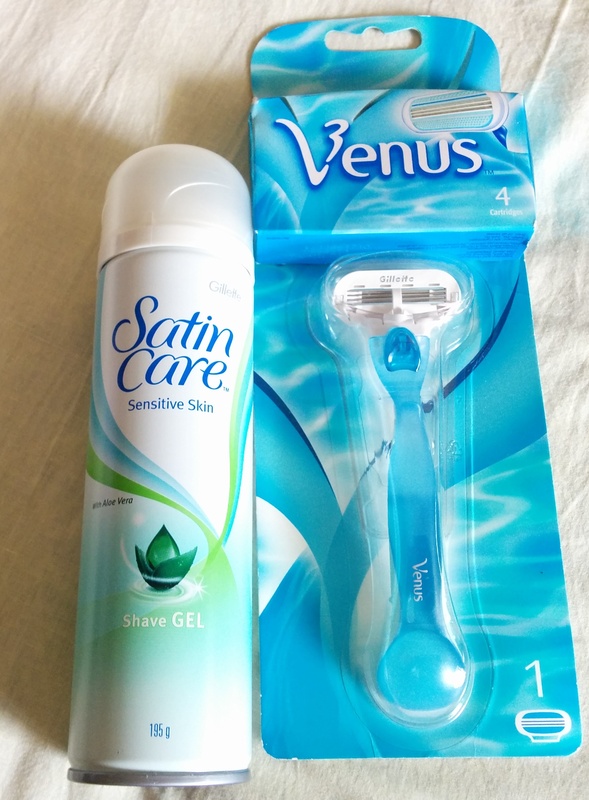 My Gillette Venus kit has been my handy companion across three countries already (India, Myanmar and Thailand) and of course it’s coming with me wherever I travel next. Bang for the buck: So the total cost of the kit is Rs 849, and I’ve been using it for over two months now. Compare this to the cost of waxing, and it’s great value for my hard-earned money! Easy to carry: My shaving kit with extra cartridges came in my suitcase when I moved to Myanmar few weeks ago, and it easily fit into my small suitcase for a weekend trip to Thailand. In Yangon, I don’t need to explore salon and parlour options and whether they are affordable and hygienic. 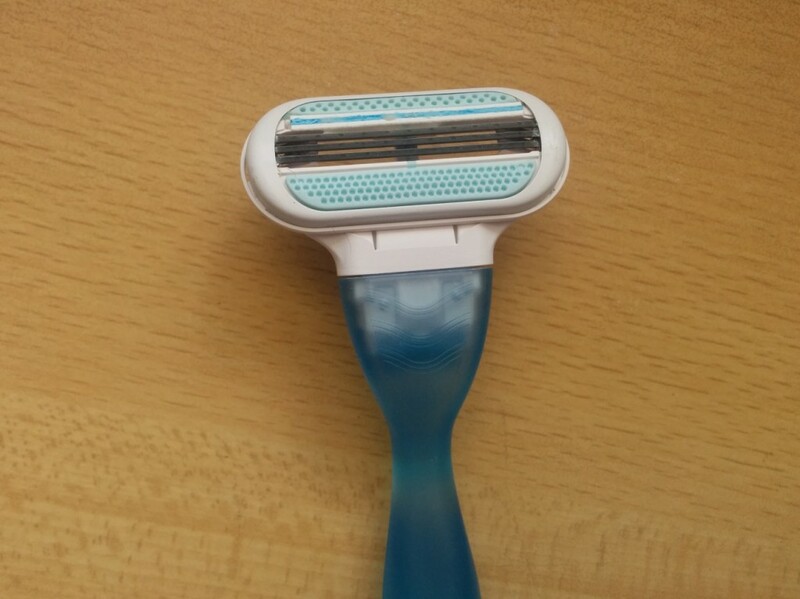 Super convenient: I can shave anytime at home. It saves me so much time and hassle of making a trip to the salon (taxis aren’t exactly cheap in Yangon!). And if there are sudden plans or plans to wear a sleeveless top or short dress, I don’t need to bother if my arms or legs are ready for it. I have a mantra for shaving now: We Love Shaving Most Regularly OR WLSMR (stands for wash- lather- shave- moisturize- repeat). Preparation is crucial. Take a quick warm shower before you shave, or wash your arms, legs or underarms before you shave so you remove all oil, perspiration and product residue (lotions, fragrances etc) and it makes your hair softer to raze. Let your arms or legs stay moist. Apply shaving foam or gel on the to-be-shaved area and spread it all over. Choose a product that is suited for your skin type. There are several brands and types available, so go with one that you know works best for you. I don’t think it’s a good idea to use your husband or brother’s shaving foam though they work essentially the same way. Pick up your razor, touch the cartridge’s pad to your skin and drag it along your arm or leg. You don’t need to press hard, because the hair comes off easily. It’s easy to lose your “shaving” track so I’ve been following my own thumb rule of shaving in straight vertical lines on my arms and legs. Knowing that you’ve completely razed a certain part of your arm or leg makes for a quicker shave. Once you’re done with shaving, all you need to do is quickly rinse or wipe off the excess lather, then follow with your personalised post-shave routine. I usually follow up with little aloe vera gel (to calm my skin) and sun screen if it’s day time. You can add or subtract from this routine based on your skin type and skin care routine. There’s no specific time period on when you need to shave again. Some women like to shave almost every day, but I don’t feel the need to shave more than once a week. Unless you have very dense or thick hair, you won’t really need to shave every day. But yes, keeping a little time for shaving aside couple times a week is a good idea. Any questions on shaving? Leave a comment below. 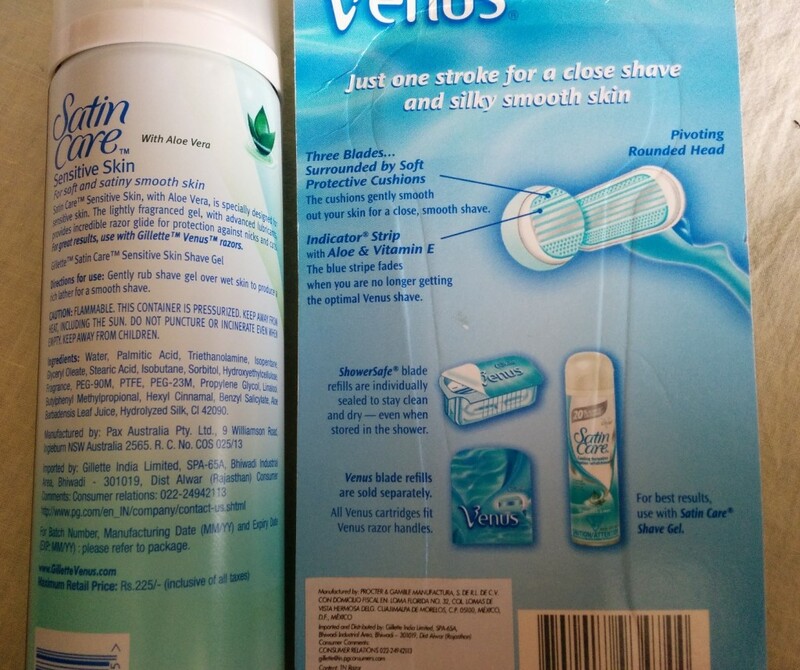 You can buy the complete shaving kit on Flipkart, or buy the razor and cartridges separately. This blog post is part of the #SubscribeToSmooth series in collaboration with Gillette India. Check out their Facebook app and follow Gillette Venus India on Twitter.